A whirlwind weekend wandering is possible from home, one just needs to know how. 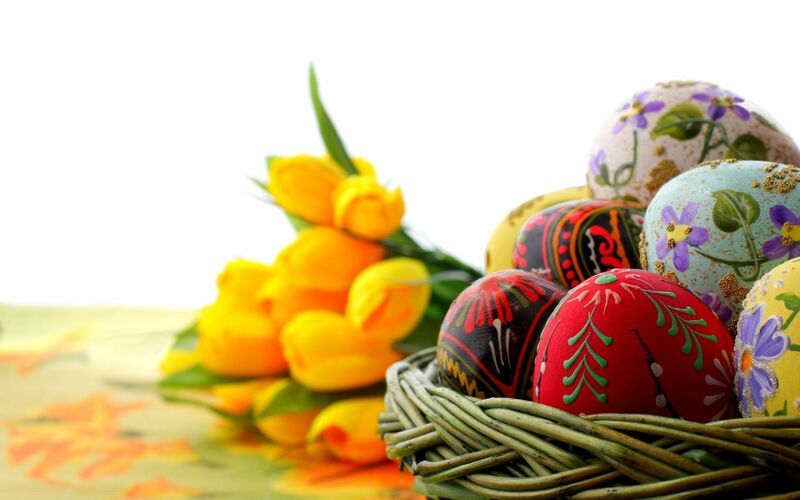 When the seasons change as they do every Easter weekend we have four seasons in a day. It’s hard to pack considering the weather. The only certainty is that it’s time for comfort food. A few years ago we fell in love with coffee brews in Vietnam, dripped slowly into a cup. 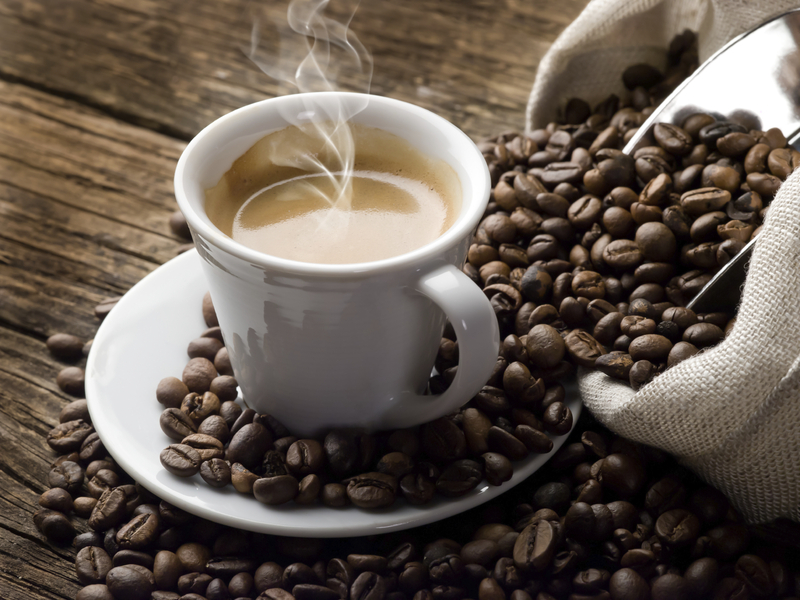 We serve our Weasel blend only to select guests who’ll appreciate the process coffee beans go through. Precious favours cold water steeped coffee for hot days, served cold, but, after supper in the bush he loves a dash of condensed milk, bringing back memories of growing up hunting with his father in Chingola where they lived in a mining town on the copper belt. 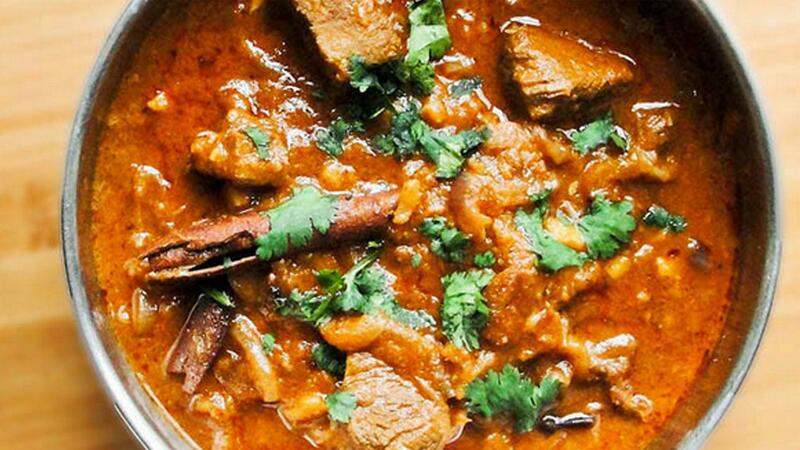 While the wind blew a gale and rain lashed our windows, I decided we’d sojourn in India for an Andra inspired lamb curry. 1. Mix together the yogurt, garlic, ginger, chilli and coriander leaves. Mix well. Transfer to a marinating container. Marinade the meat in this mixture for 2-3 hours in the refrigerator. 2. Heat the coconut oil in a large heavy bottomed saucepan and sauté until golden. Add the cardamoms and cloves and stir fry for 1 minute. 4. Add the meat together with the marinade, turn the heat to low and sauté for about 10 minutes until the marinade has been absorbed. Once the marinade has been absorbed turn up the heat and sauté for 5 minutes, stirring continuously. 5. Add the tomatoes and carrots. 7. Add the butternut, return to the oven for 45 minutes until the butternut is cooked. 8. Serve the curry with cauliflower rice (we did) or with boiled Basmati rice. 9. Serve the curry in a large beautiful platter or bowl garnished with chopped fresh coriander. 10. Serve full cream yoghurt on the side. ACCOMPANIMENTS AND CONDIMENTS - all made by our Precious one. 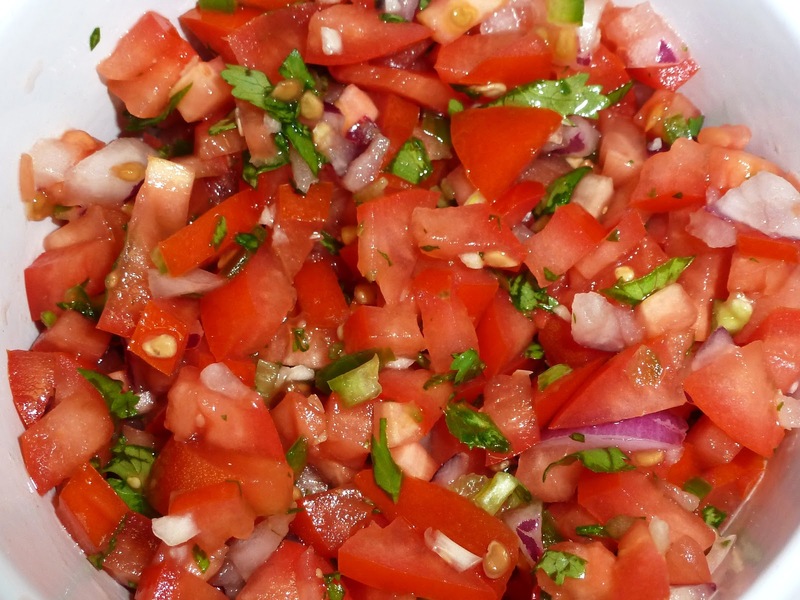 Dress the combined tomato, onion and mint with the stirred dressing. Banana, coconut, chutney, fruity relishes. Most traditional large Cape gardens would have a small orchard where a grape vine, citrus fruits, pomegranates, granadillas, guavas and quinces grow. 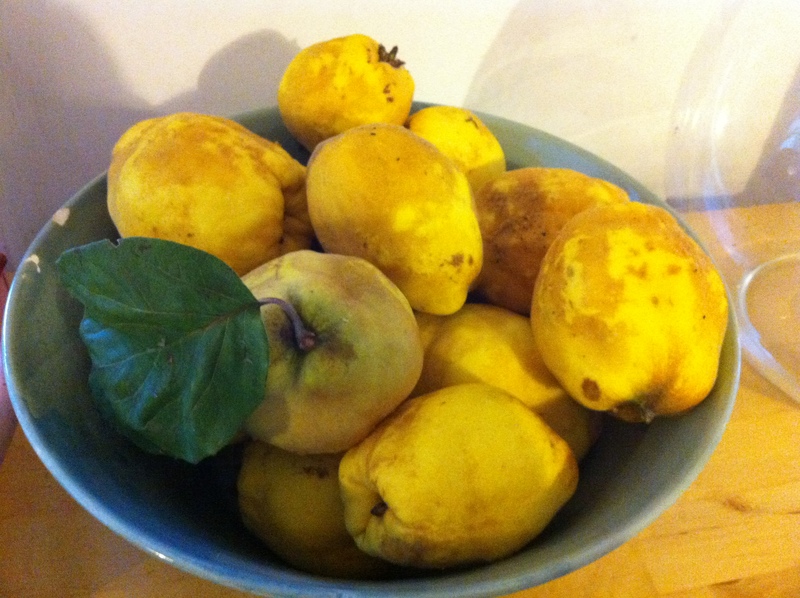 Last week Yvonne gifted me with a bag of quinces, my favourite autumn fruit. I couldn’t resist adding this to my menu and served it with the curry as an accompaniment. Rave reviews followed! Place the quinces in a medium clay pot, I used my tagine pot, which is just large enough for the fruit. Sprinkle and pour the rest of the ingredients over the fruit. Cover the pot with two layers of aluminium foil as the tagine lid is rather large, unless, you manage to fit it into your oven. 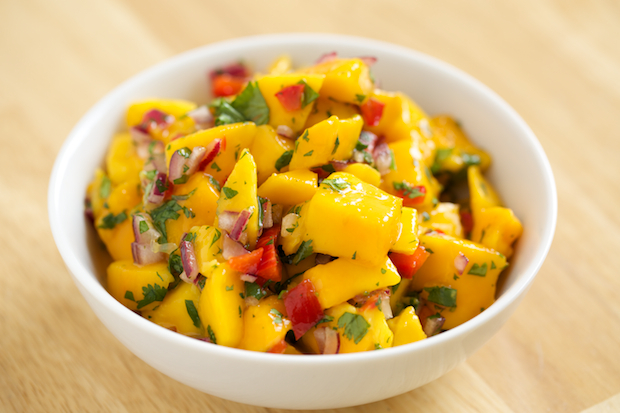 Bake for 90 minutes or until the fruit is soft and cooked through. Remove the lid or covering 30 minutes before the end of cooking time (after about 90 minutes) and bake with the temp turned up a notch to 200C until the sauce has reduced a little and the fruit has a golden colour. The sauce must not reduce too much, do be careful. A quick solution for a lazy weekend. I smell a Parisian kitchen with this one. Use the most mature Cheddar available. 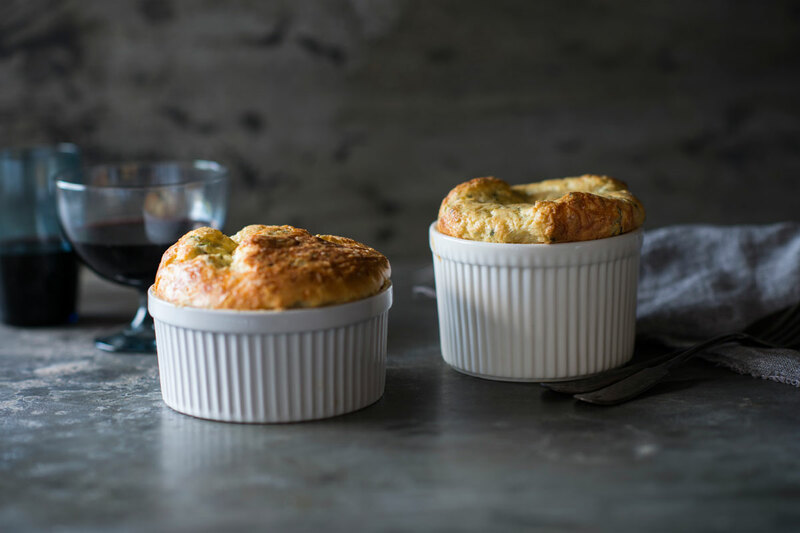 These Souffles can be prepared the day before and heated through, as instructed, 20 minutes before serving. 1 Butter 6 ramekins generously. I butter the ramekins twice. 2 Preheat the oven to 180֩C. 3 Heat the milk together with the onion and nutmeg over a low heat. Remove the onion. 4 Melt the butter in a saucepan and stir in the flour, mustard and cayenne pepper. Gradually add the milk, remove from the heat, and stir until smooth. 5 Return to the heat and stir until the sauce boils and thickens. Remove from the heat and add three quarter of the cheese and finally the egg yolks, one at a time, beating continuously. Season with salt and pepper. 6 Whisk the egg whites until soft peaks form, fold into the cheese mixture using a metal spoon. 7 Spoon into the ramekins, only two thirds full. Stand the ramekins in a roasting pan half-filled with boiling water (Bain Marie) and bake for 15 minutes, or until puffed up and set. 8 Remove from the oven, allow to cool, they’ll lose their puffiness. 9 Run a knife around the edge of the soufflés to loosen them turn them out onto your hand, giving the cups a sharp shake. Place carefully onto an over proof baking dish. 10 Preheat oven to 220C֩. Twenty minutes before serving, sprinkle the remaining cheese on top of the soufflés. Season the cream with salt and pepper and pour all over the soufflés, coating them completely. Put the dish into a very hot oven for 10 minutes or until the soufflés are a gorgeous pale golden colour. Serve immediately. Use a fish plate or side plate to plate the soufflés individually. Garnish each plate with a pile of crunchy salad leaves, e.g. Rocket, butter lettuce or mixed leaves and herbs. Add a few saladings for colour and texture e.g. Roma tomatoes, cucumber, avocado, Kalamata olives, feta cheese or sliced spring onion. Dress the salad with a Balsamic reduction and a twirl of olive oil. On Easter Sunday I lined my ramekins with Parma ham which infused the soufflés with a delicious smoky flavour and looked pretty too. Flavours of Tuscany. Using ripe lemons and granadillas from the garden. 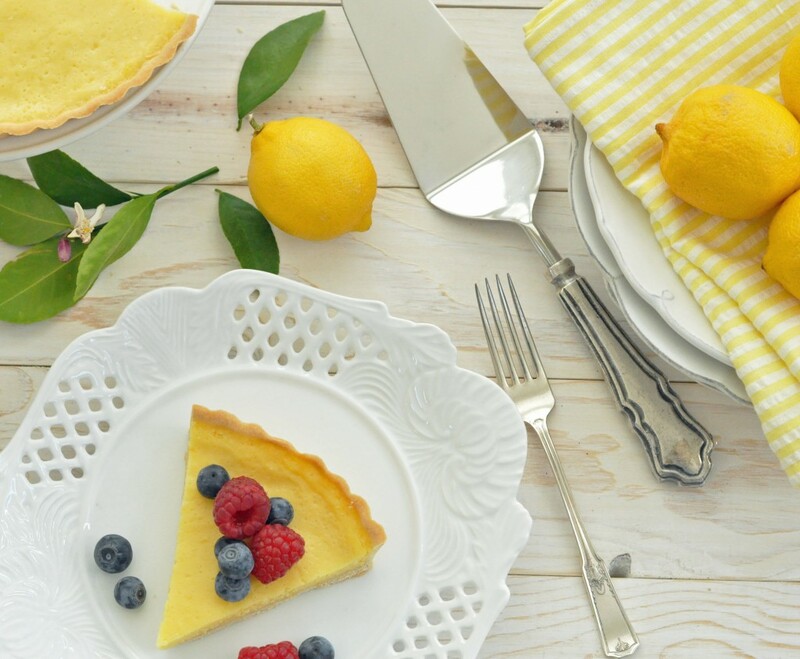 The Queen of Tarts brought this tangy tart to tantalize our taste buds. Wrap the block of dough in cling film, place in the fridge for 60 minutes to rest. Carefully slice off thin slivers of pastry, not more than 5mm thick. Place the sliver in and around the bottom and sides of the baking tin, fitting them together before lightly pushing the pieces together. Push the sides up using thumbs. Clean the edges with a sharp knife. Allow the pastry rest again. I keep it in the deep freezer for 1 hour. Before baking preheat the oven to 180֩C. Line the crust with baking paper, fill the bottom with dried beans and bake for 15 minutes until cooked through and a light golden colour. Cool crust completely before adding the filling. 1. Wisk together sugar and eggs in a bowl. Slowly add the cream and the lemon and granadilla juices. 2. Return the baked tart shell to the oven and then pour the filling into it. 3. Bake for 40-45 minutes at 180֩c until the filling is set but still semi-wobbly in the middle. 4. The filling will set once removed from the oven and left to rest for an hour. 5. Dust the cold tart with icing sugar. 6. Serve with fresh berries and thick cream. OPTION: caster sugar can be sprinkled over the top of the tart, caramelised with a culinary blow torch for a crispy touch. A reminder of care-free childhood holidays on a cattle farm, we re-christened this old fashioned pudding “frogs eggs” at boarding school adding dollops of jam to sweeten things up. 1 Soak the sago in 250ml full cream milk. 5 Beat egg whites until soft peaks form, fold into sago mixture. 6 Pour into butter greased heat resistant baking dish. 7 Bake at 180֩C for 30 minutes. 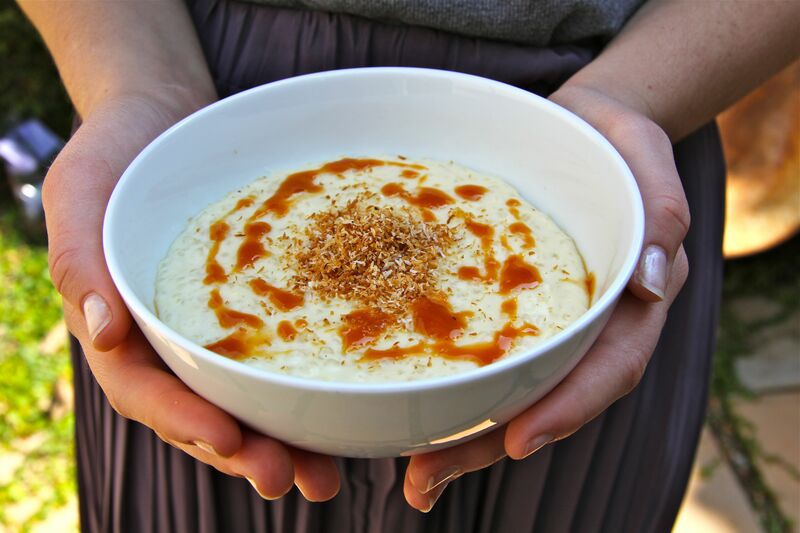 8 Serve the sago pudding warm with a light sprinkling of cinnamon and a dollop of thick cream. 9 Or serve with a drizzle of Maple syrup and oven baked coconut slivers. Lazy mornings were spent lying in a little later. On our breakfast tray we’d have toasted cinnamon infused hot cross buns dripping in butter and we'd let our latest coffee brew transport us to another country, we ended the weekend in Brazil. I finished The Orphan Train and started William Boyd’s new novel Sweet Caress. We’re still licking our chocolaty fingers.